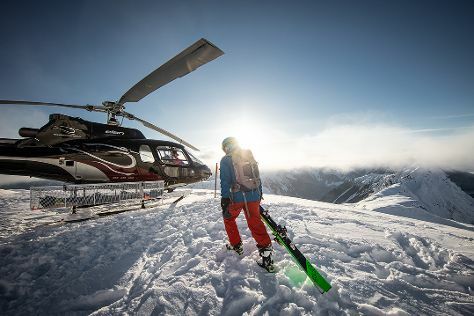 Kick off your visit on the 9th (Sat): get all the equipment you need at Elan Ski Shop & Rental, then make a trip to Giewont Husky Adventures, and then wander the streets of Ounasjoki - River for activities. To see ratings, photos, reviews, and more tourist information, use the Levi holiday builder tool . London, UK to Levi is an approximately 10-hour flight. You can also drive. Due to the time zone difference, you'll lose 2 hours traveling from London to Levi. 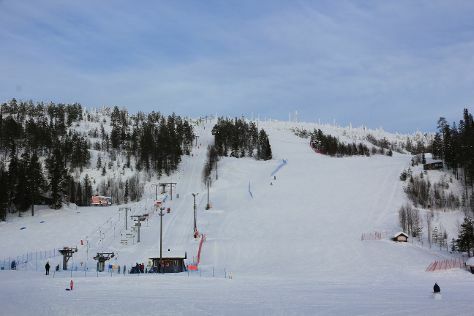 Expect colder temperatures when traveling from London in February; daily highs in Levi reach -5°C and lows reach -12°C. Finish up your sightseeing early on the 9th (Sat) so you can travel to Inari. On the 10th (Sun), experience rural life at Reindeer Farm Petri Mattus, then see the interesting displays at Siida, and then pause for some serene contemplation at Pielpajarvi Wilderness Church. To see traveler tips, maps, photos, and more tourist information, read our Inari trip planning app . You can do a combination of bus, flight, and shuttle from Levi to Inari in 2.5 hours. Alternatively, you can drive; or take a bus. February in Inari sees daily highs of -6°C and lows of -15°C at night. Finish your sightseeing early on the 10th (Sun) to allow enough time to travel to Salla. Salla is a municipality of Finland, located in Lapland. Kick off your visit on the 11th (Mon): tour the pleasant surroundings at Salla Ski Resort, then steep yourself in history at Paikanselan Taistelualue, and then examine the collection at Salla Museum of War & Reconstruction. To see other places to visit, maps, traveler tips, and other tourist information, go to the Salla day trip website . Getting from Inari to Salla by car takes about 4.5 hours. February in Salla sees daily highs of -6°C and lows of -13°C at night. Wrap up your sightseeing on the 11th (Mon) to allow time to travel to Rovaniemi. On the 12th (Tue), snap pictures at Lumberjack's Candle Bridge, fly down the slopes at Ounasvaaran Hiihtokeskus Oy, then stop by LAURI, and finally admire the masterpieces at Korundi House of Culture. 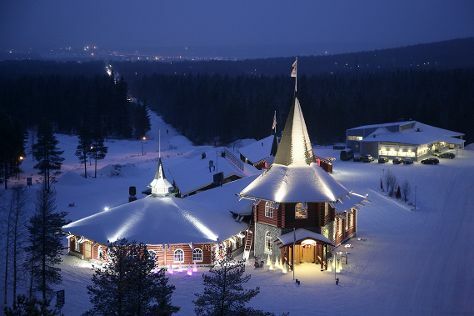 Get ready for a full day of sightseeing on the next day: explore the different monuments and memorials at German Soldier s Cemetery, examine the collection at Christmas House Santa, then see the interesting displays at Santa's House of Snowmobiles, and finally have some family-friendly fun at Feel Vegas - Club Rovaniemi. To see maps, more things to do, where to stay, and more tourist information, go to the Rovaniemi trip website . You can drive from Salla to Rovaniemi in 2 hours. In February in Rovaniemi, expect temperatures between -6°C during the day and -11°C at night. Finish your sightseeing early on the 13th (Wed) to allow enough time to travel back home.